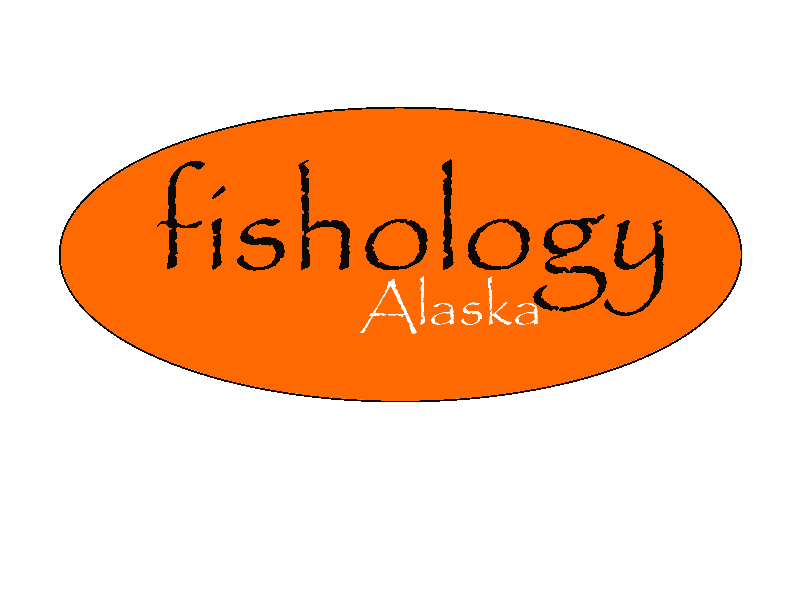 Here at Fishology I must admit that we have a serious crush on the middle section of the Kenai River! We probably spend more days in this beautiful 15 mile stretch of river than anywhere else throughout the season, and there are many reasons for that. 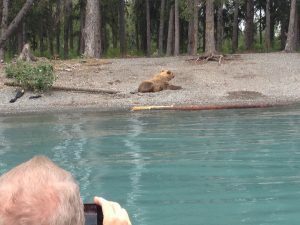 The “middle” Kenai begins at the outlet of Skilak Lake, and ends somewhere between the Naptown Rapids in Sterling and the Soldotna Bridge, depending upon who you ask. 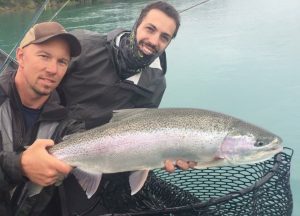 “The middle” has gained a lot of attention and popularity over the last 20 years or so, and use has increased steadily, mostly due to the fact that the fishing here is some of the best on Earth. 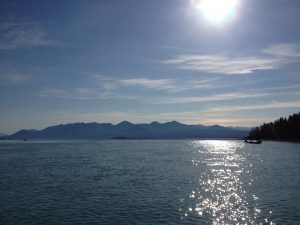 The Kenai National Wildlife Refuge owns the upper section of the middle Kenai. 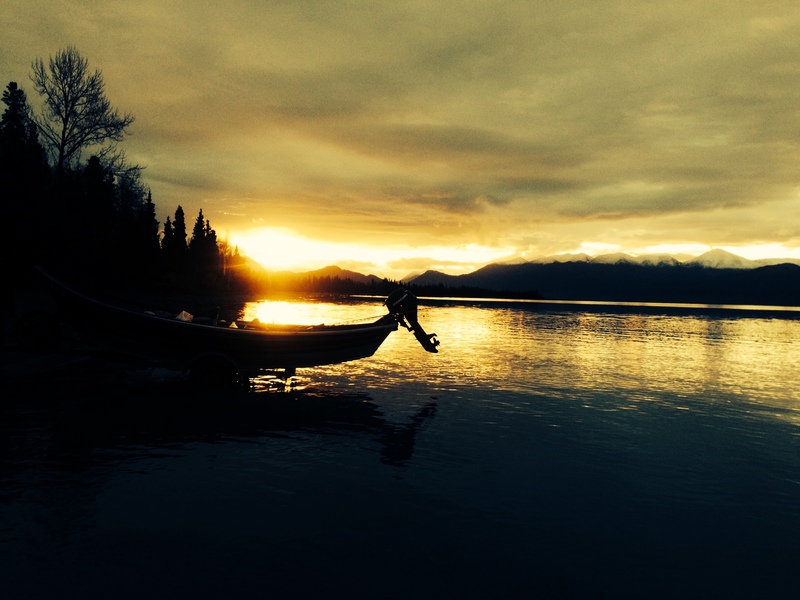 The first several miles below Skilak Lake can be a true wilderness experience with tons of waterfowl, countless bald eagles, and a healthy moose and bear population. The middle Kenai can be fished effectively either from a power boat or drift boat. Some folks prefer the mobility of a power boat, while others prefer the peaceful atmosphere of a drift boat trip… I recommend both! 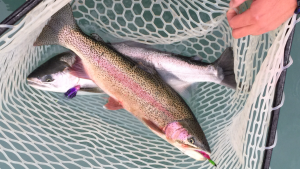 Trout season opens June 11th, and some of the best fishing of the season can often occur during the first few days after opening. Every trout bum in the area is already counting down the days, waiting for their opportunity to cast a fly at these trophies. 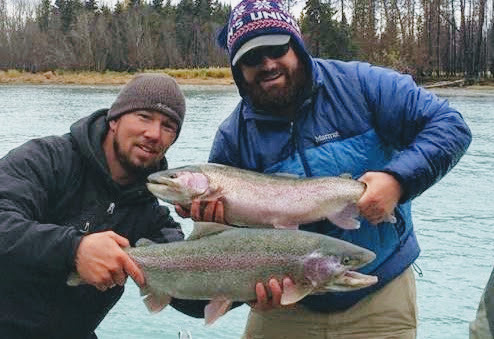 Mid-Summer brings a flood of sockeye salmon into the Kenai River, and the middle section of the Kenai may be the most effective spot to fill your stringer. If you’re standing in the right spot, you can actually see thousands of fish pouring past you, and catching a quick limit is a regular occurrence. 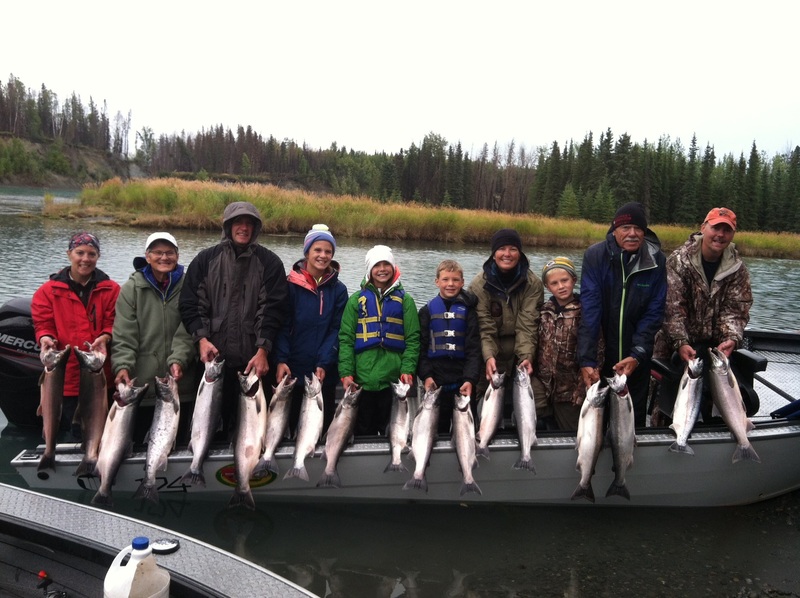 The fall is the most popular time to fish the middle Kenai. The combination of chrome silver salmon, along with quite possibly the best trout fishery in the world, is something few anglers can resist. 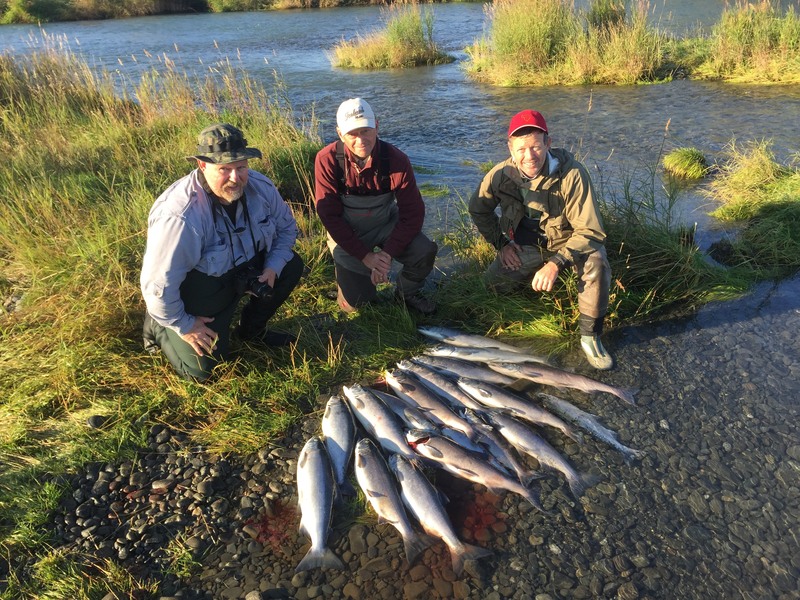 These combo trips are a staple for us in August & September, and they rarely disappoint. As I mentioned, the Rainbow Trout and Dolly Varden fishery on the middle Kenai is what sets this area apart from the rest. The elusive 30 inch Rainbow Trout is a realistic endeavor here, and every Trout junkie worldwide dreams of the opportunity to cast a fly or bead into these emerald-green waters. 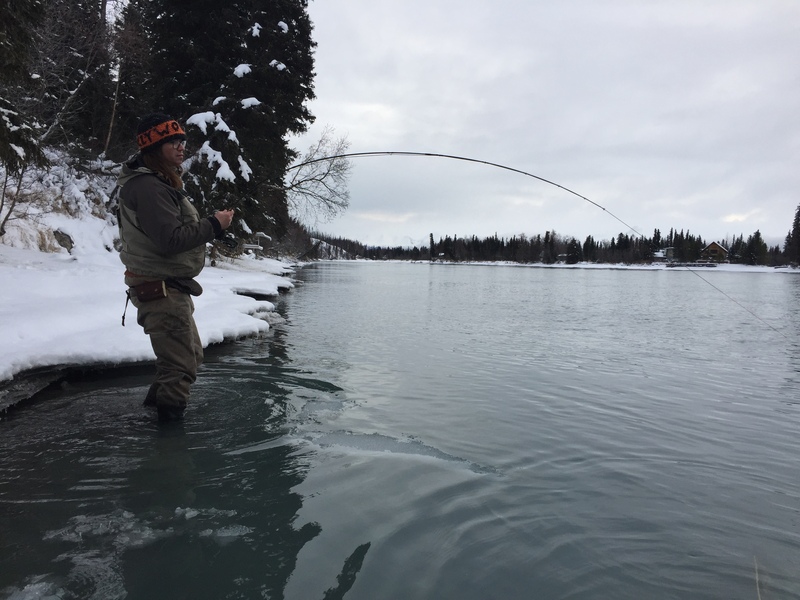 One of the greatest aspects of the middle Kenai is the length of time that you can fish it, and some of the best fishing of the year occurs in the late fall and even into winter. If you have the opportunity to experience the middle Kenai river, take it! The combination of accessibility, wilderness, wildlife, beautiful scenery, and incredible fishing is perhaps unmatched throughout the entire world. 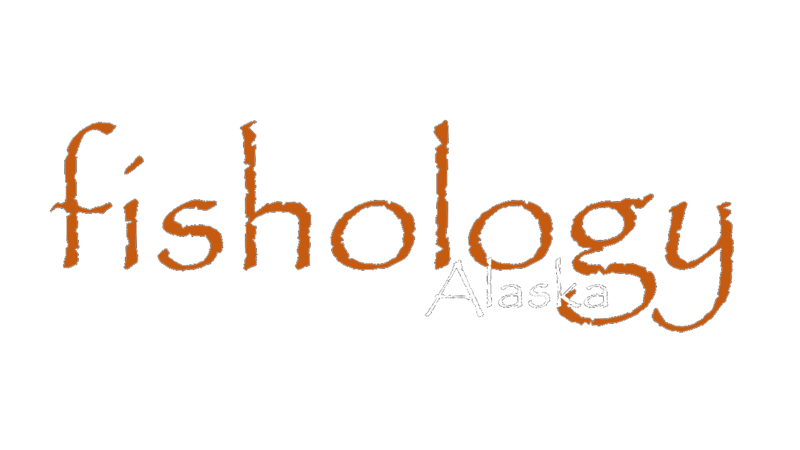 If you have any additional questions about this section and the trips we offer here, contact us as soon as possible.